It seems like all it would take is pushing or riding the lawnmower over the grass. But there's more to it than that if you want a beautiful and healthy lawn. The first step to overcome is deciding on the proper length. This depends on several things, such as the type of grass, how much sun the grass gets each day, how much it rains, and so on. Here are some of the benefits of mowing less often and letting the grass grow longer. Saves Time Keeping most grass a little longer saves effort cutting. Allowing the lawn to grow an extra week between cuttings, mowing every two or three weeks instead of every week, reduces the effort by up to a third. 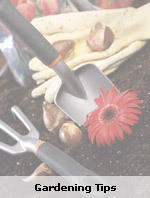 That saved hour or two can be well used on other activities - fertilizing, weeding and other needed tasks. Grows Slower The grass grows faster when it is short and slows down as it gets longer. So since the length increases at a higher rate at first and then decreases as the blade grows to be a couple of inches or more, remember this: The longer the blade, the slower the growth. Grow Deeper Roots Deeper roots are encouraged by longer grass. Grass and weeds compete for the same nutrients and space in the soil. With longer roots, the grass takes up more of the space and gets more of the nutrients, leaving less for the weeds. Another benefit of longer roots is it the grass reach moisture deeper down, making the grass better fed and stronger. Needs Less Water Here's another interesting fact: Longer grass can keep in moisture better. So not only do you save time by mowing less frequently, but you save money on water as well. This is really important in some areas that often experience drought. Gets More Sunlight It's healthier for grass to grow a little longer for several reasons. For instance, longer grass has more surface area for photosynthesis, the biochemical process that turns sunlight and compounds into energy used for reproduction and growth. Reduces Weeds Allowing the grass to grow longer actually reduces weeds and the time needed for weed maintenance. Since weeds need sunlight and warmth in order to grow, just like nearly every plant, longer grass blades prevent weeds from getting started. Problems with Long Grass There are problems that can increase if the grass grows too long. Not only do you have to put up with a shaggy lawn, but grass that is too short encourages lawn bugs and mosquitoes. The latter prefer cool temperatures, and the longer grass gives them a place to enjoy the shade. 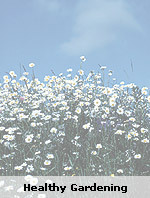 So keeping your lawn down to a moderate length will reduce the number of bugs. Don't Cut it Too Short Cutting grass does not hurt it in any way as long as it isn't cut too short. Grass grows from the base (called the crown), not from the top. If you are careful not to damage the crown with the lawnmower, the grass will do fine. Be careful of bumps in the yard that can cause the lawnmower to dip too deep into the grass and dig into a crown. In summary, if you keep the grass a little longer in hot weather and a little shorter in cool weather you will achieve the perfect balance. 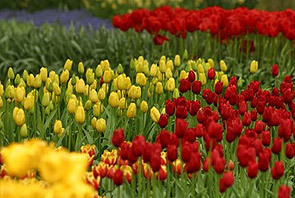 Grab lots of tips and tricks for making your yard and garden healthier and more beautiful. Carol Stack and her family live on a large piece of property where they enjoy trying out new gardening ideas. 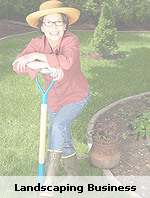 Carol's web site, http://www.freegardentips.info, covers lawn care, organic gardening, landscaping, and more.